Another mysterious case of alien disclosure has emerged, this time from a former NASA employee who claims to have witnessed the most bizarre sighting. While on a routine space mission, Clark McClelland, a now-retired aerospace engineer who worked for NASA’s Shuttle Fleet at the Kennedy Space Center in Florida from 1958 to 1992, witnessed a meeting between a 9-foot tall humanoid alien and two astronauts in a cargo bay of the space shuttle. He claims that the tall alien being was wearing a similar astronaut costume, adjusted for his particularly tall size and that it appeared to be in charge as it was giving indications to the other two cosmonauts. I, Clark C. McClelland, former ScO, Space Shuttle Fleet, personally observed an 8 to 9 foot tall ET on my 27 inch video monitors while on duty in the Kennedy Space Center, launch Control Center. The ET was standing upright in the Space Shuttle Payload Bay having a discussion with two tethered US NASA Astronauts. I also observed on my monitors, the spacecraft of the ET as it was in a stabilized, safe orbit to the rear of the Space Shuttle main engine pods. I observed this incident for about one minute and seven seconds. Plenty of time to memorize all that I was observing. It was an ET and Alien Star Ship! 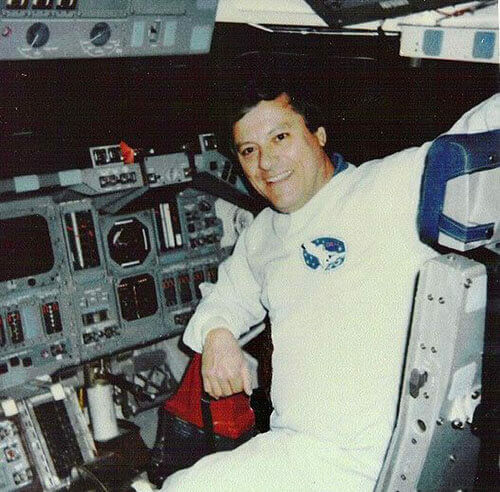 On July 29, 2008, when he released the story on his website – Stargate Chronicles, the UFO and alien enthusiasts believed this to be the ultimate ET evidence and that NASA might finally admit his story, because his background as an astronaut was really impressive and there could be no doubt about his mental health or any other similar issues that could put his testimony in a bad light. With my verifiable background, there is no Federal Government Agency that can say I am crazy! I am a space program pioneer. I assisted in launching the Mercury, Gemini, Apollo, Deep Space Missions and the International Space Station. I have received honored mentions from US Senators, Congressman, Military Officers and Scientists. I have received character substantiations from Walter Cronkite, Major Donald Keyhole, NICAP Director; Richard Hall, Assistant Director of NICAP Astronomer. I served as the Assistant State of Florida and KSC Director of MUFON, the Director of the National Investigations Committee on Aerial Phenomena at Cape Canaveral and KSC. Any doubts about his astronaut background are being diminished by his claims and also by the many authentic photos and documents from his time spent with NASA that have been posted on his website. 90 percent sure that many of the thousands of unidentified flying objects, or UFOs, recorded since the 1940s, belong to visitors from other planets. 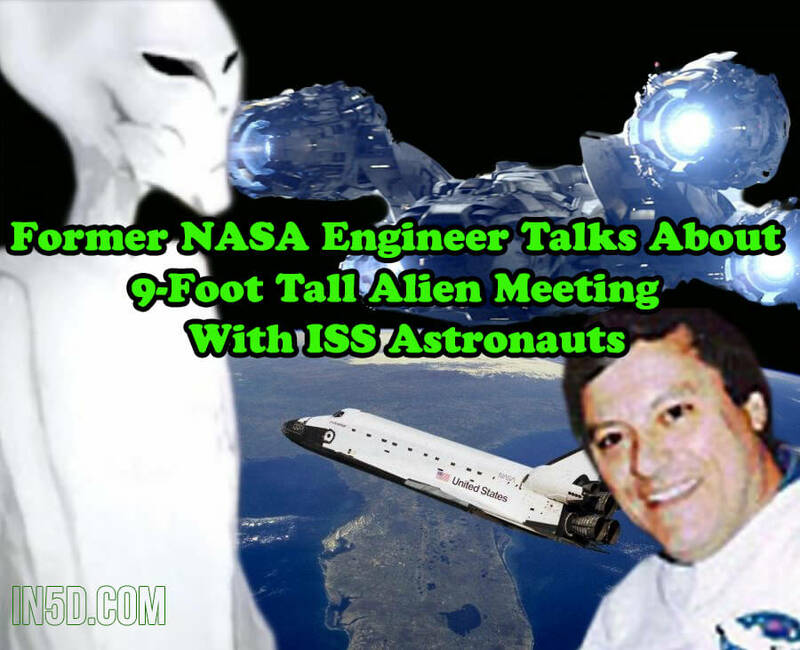 The former space engineer, Mc Clelland, also claimed that NASA is hiding the truth about alien encounters here on Earth and that the ISS is being used as a meeting point for alien and human representatives. NASA is not a civilian space agency. The Pentagon owns NASA. Some of the Department of Defense missions I participated in were top secret. Those missions carried TS Satellites and other space mission hardware into orbit where several crews met with ETs. Even though his simple claims are not consistent enough for some, he has a strong alibi that comes with his irreproachable background. We have to consider that being an aerospace engineer at NASA is not quite an easy task for everyone to pass and the agency is taking all the precautions when it comes to hiring professional personnel. Apart from this, recent proof of the International Space Station terminating the livestream when a grey UFO made its presence noticed has brought even more credibility to this case.